Blending quality, craftsmanship, and customer care. Transform your home with residential painting from our crew. We offer full-service interior and exterior painting for isolated areas or entire homes. 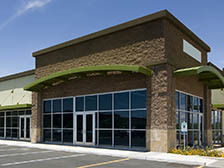 Spruce up your business with commercial painting . American Painting paints everything from warehouses to assisted living facilities to meet your needs. Find out why we're the right choice for interior and exterior painting by contacting us at (855) 206-9569 for an estimate request. American Painting is a full-service locally owned interior painting and exterior painting company serving the greater San Francisco Bay area. We serve both residential & commercial customers and take pride in the quality and craftmanship of our work. We've been in business since 1976 and are known for our prompt, reliable services. Since our bicentennial business inception, American Painting has provided customers with excellent painting service for over 3 decades. We are fully licensed and insured. Whether you need interior painting or an exterior building facelift, American Painting is the right choice for you. Local references are available to help you decide. If you notice damaged or peeling paint, chances are your customers will notice too. 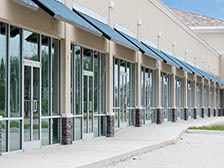 Don't let damage like that detract from your business' curb appeal. Call American Painting and we can provide a fresh coat of paint to help with peeling, chipping or damage. Improving the look of your exterior place of business or commercial building is the first step in improving the value of your property & giving your customers more curb appeal. 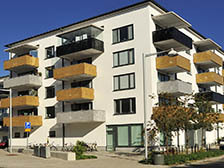 We also provide long term painting maintenance service.